Davida A Fox-Melanson, Retired Superintendent of the Carlisle MA Public Schools (1992-2004) and Visiting Lecturer in Educational Leadership and Administration at American International College and Bridgewater State University. She has her A.B. in Sociology from Clark University, her M.Ed. in Elementary Education from Boston University and her CAGS in School Leadership from Bridgewater State College. Her volunteer activities include service on the school council of her district’s high school and on the Board of Directors of a children’s museum. Brad Morrison is fascinated with the challenges people face in accomplishing what they set out to do in organizations. His research focuses on implementation, which he has studied in several contexts, such as process improvement settings and firms adopting the practices of lean manufacturing. He examines the paradoxes of building organizational capability and implementing innovations. For example, why do the actions some managers take foster the very problems they are attempting to solve? His methods blend organization theory with tools of system dynamics, feedback theory, mathematical modeling and computer simulation to elucidate the relationships between structure in systems and the patterns of dynamic behavior they exhibit over time. George P. Richardson's teaching and research center on computer-based tools and analyses for public administration and policy. His recent work has focused on public policy problems in social welfare and the use of formal computer-based modeling methods to help groups move toward policy consensus in complex dynamic systems. He founded and served for seven years as the executive editor of the System Dynamics Review and is the author of Introduction to System Dynamics Modeling with Dynamo (1981), Feedback Thought in Social Science and Systems Theory (1991), both of which were honored with the System Dynamics Society's Forrester Award, and the edited two-volume collection Modelling for Management: Simulation in Support of Systems Thinking (1996). In 2003 Professor Richardson received the University at Albany President's Award for Excellence in Teaching, and the similar system-wide recognition from the Chancellor of the State University of New York. In 2010 he was honored with the President's Award for Excellence in Academic Service, and the SUNY-wide Chancellor's Award for Excellence in Faculty Service. 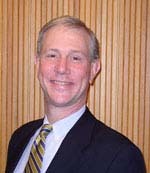 Lees N. Stuntz, Executive Director of the Creative Learning Exchange (CLE), founded the organization in 1993 under the direction of a Board of Trustees, which includes Jay Forrester, the founder of the field of system dynamics and the inventor of the core memory for the computer and dynamic modeling. As Director of the CLE, Ms Stuntz gives workshops on systems thinking and system dynamics for educators as well as visiting schools to coach and lend her expertise to teachers and administrators. She maintains contacts with the system dynamics community and educators who are interested in utilizing systems thinking and system dynamics in their schools, both administratively and in the curriculum. Stuntz has her A.B. in Sociology from Wellesley College and her M.A. in Child Study from Tufts University. Her volunteer activities have included serving on the School Board in her district for many years and on the Board of Directors for a children’s discovery learning museum.